This week at The Pollination Project, we are highlighting seven grantees from East Africa to the Pacific Northwest that are affording individuals life-changing opportunities. Kids in Portland get on the court and in the field while the elderly in Arkansas star in a video series. With a sense of yearning and desire, these projects are giving others a voice. We wish our seven newest recipients big congratulations! Jonathan Chirwa and Peter Boka Mwenechanya, Women Rice Group, Karonga, Malawi. Women are provided trained in business management and life skills to sustain rice-selling businesses. 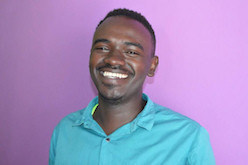 Douglas Gichorio Mwangi, Oasis Mathare, Nairobi, Kenya. Youth are afforded access to literacy and technology resources to help eradicate poverty. Leslie Mestman, Off The Sideline Outreach Support, Portland, Oregon, USA. Children from low-income households are afforded financial scholarships to participate in community sports programs. Jordan King, Bold Folks Home, Conway, Arkansas, USA. A video series documentary offers nursing home residents an outlet to creatively express themselves. Leonard Muhanga Likhotio, Rehabilitating Women and Youth Formerly Convicted of Forest Related Offences Around Kakamega Forest, Kakamega, Kenya. Women and youth are trained on environmental legislation and energy cook stoves. Bev Saiz and Susan Taney, Keeping Families Together, Palatine, Illinois, USA. Owners of lost dogs receive education, support services and assistance through a video series highlighting micro chipping. Milton Aloo, Exposing Women to Cassava Value Chain, Nairobi, Kenya. 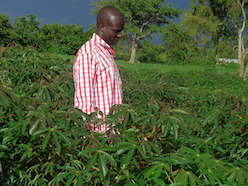 Cassava seeds are distributed to help sustain communities as a drought resistant crop. Do you have a project with the intent to help make the world a better home for all? We accept grant applications for Pollination Project seed grants, every day of the year. We love learning about changemakers across all continents and hemispheres and all they are doing to spread compassion, peace, environmental sustainability, generosity and justice.